I have finally taken the decision to self-publish my debut novel The Spyglass and the Cherry Tree (the new working title for The Dark Queen of Deorc). This wasn’t an easy decision but after several rejections from agents and after reading around the subject a lot, I’ve decided that this is the best option for me. I think that, ultimately, I prefer the idea of complete creative control over the story and all the surrounding aspects. With that in mind, you may see me self-promoting a lot over the coming months. The story is currently going through a final beta-read before heading off to be edited. With that in mind, I’m aiming for a Spring 2017 release so I need to start spreading the word now! 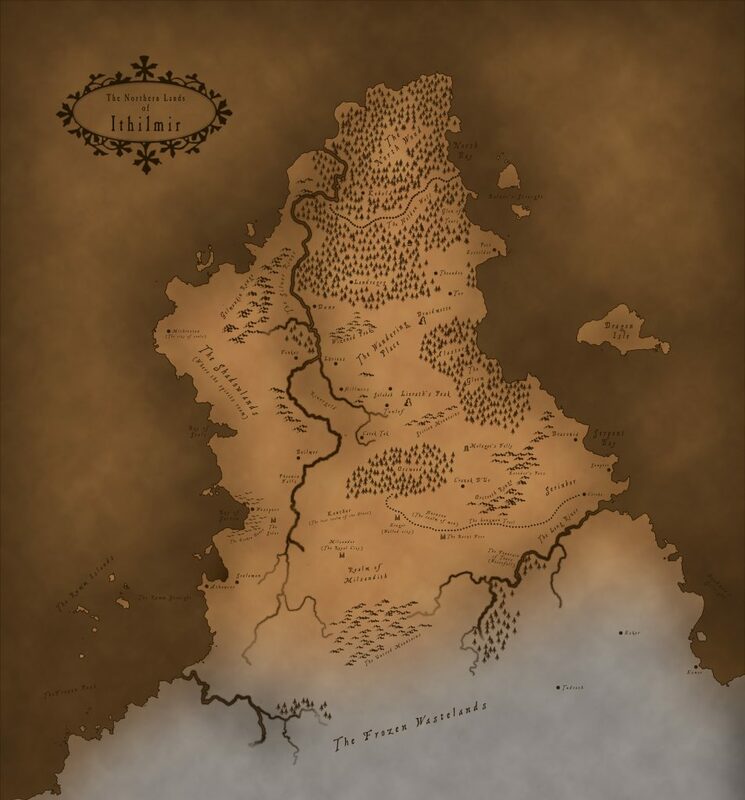 I’ve spent the last few weeks working on a map of Ithilmir, the world in which my protagonist finds herself and so, because everyone loves a map, here it is for your enjoyment!